I fell in love with Chanel Illusion D'ombre in Epatant a long time ago. I swatched it in this post and never forgot how beautiful and multi faceted the eye shadow appeared. 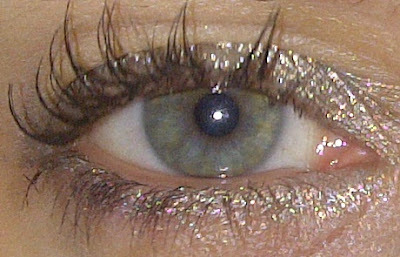 I knew that it would really bring out the green in my eyes, with its silver/green tones. Now that I finally have it in my possession I have been proved right. it is just as gorgeous as I remembered. It makes my eyes look absolutely stunning and it remains perfect all day. 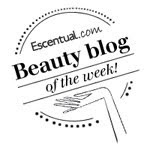 The wonderful silky, gel like texture applies like a dream, blends nicely and doesn't crease at all. With flash - see all the colours! My eyes glisten when the light hits the eye shadow and they are packed with colour. Illusion D'Ombre Long Wear Luminous Eye Shadow can be applied sheer for a wash of colour or layered for a more intense look. Next time I wear Epatant I am going to apply black liner all round my eyes for even more impact! I would definitely purchase more in this collection (there are currently 9). I think a gold like Apparence would be the ideal addition to my eye shadow collection. 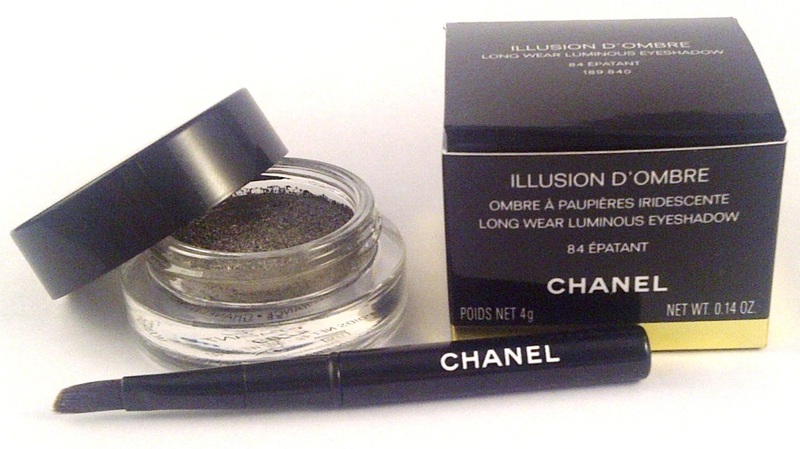 Have you tried Chanel Illusion D'Ombre? I've not tried this but it looks such a beautiful product. The colour may be a little light for me, it looks amazing on your eyes!